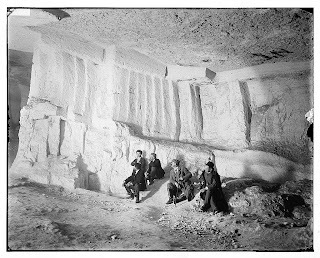 Picture a Day - The Holy Land Revealed: Beneath the Old City of Jerusalem Lies a Huge Cave. Does It Date Back To King Solomon or King Zedekiah? Beneath the Old City of Jerusalem Lies a Huge Cave. Does It Date Back To King Solomon or King Zedekiah? Beneath the Old City of Jerusalem, not far from the Damascus Gate, is the entrance to an enormous cavern, one of the largest man-made caves in Israel. The American Colony photographers visited the cavern 100 years ago. From the cave's entrance to the end is 300 meters; its width is 100 meters, and its height in some parts is 15 meters tall. The total size is estimated to be five acres. And the cavern, which was used to quarry limestone blocks, dates back 3,000 years. According to legend, King Solomon may have taken blocks from the cave to build the First Temple (circa 950 BCE). While archaeologists are sceptical, there is little doubt that King Herod (circa 50 BCE) quarried stone for building his massive expansion of the Second Temple, including what we call today the Western Wall. Another legend claims that King Zedekiah of Judah (circa 586 BCE) fled from the Babylonian conquerors through the cave. 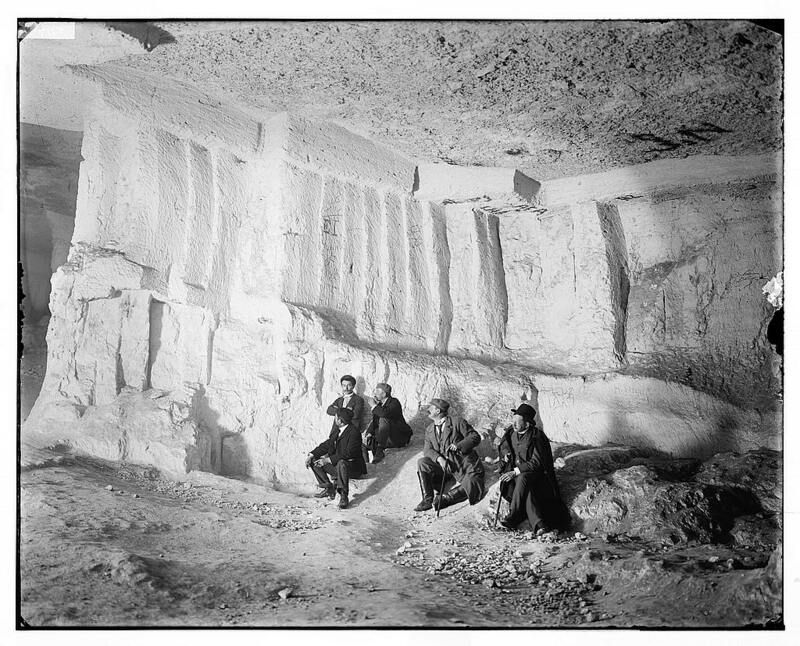 Talmudic literature dating back to the 2nd - 3rd century CE refers to Zedekiah's Cave. The quarry was used throughout the Middle Ages, but it was sealed in the 16th century by Suleiman the Magnificent to prevent enemy infiltration under the Old City. The cave remained sealed and undiscovered until 1854 when, according to another legend, missionary Dr. J. T. Barclay was walking his dog outside of Damascus Gate. The dog ran down a hole that had been opened after heavy rains. Barclay followed him in and discovered the massive cavern. 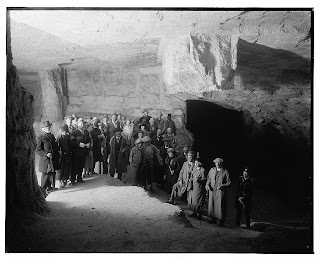 In the 1880s a German cult took over the cave until they were removed by Turkish authorities. In 1893 the Turks sealed the entrance once again. 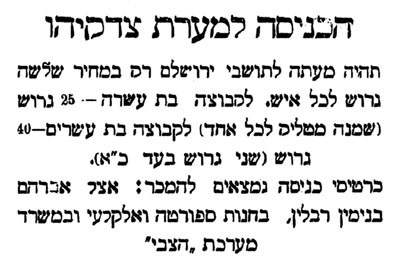 An advertisement announcing tours and admission rates to the Cave appeared in a Hebrew paper Hatzvi during this period, in April 1909. 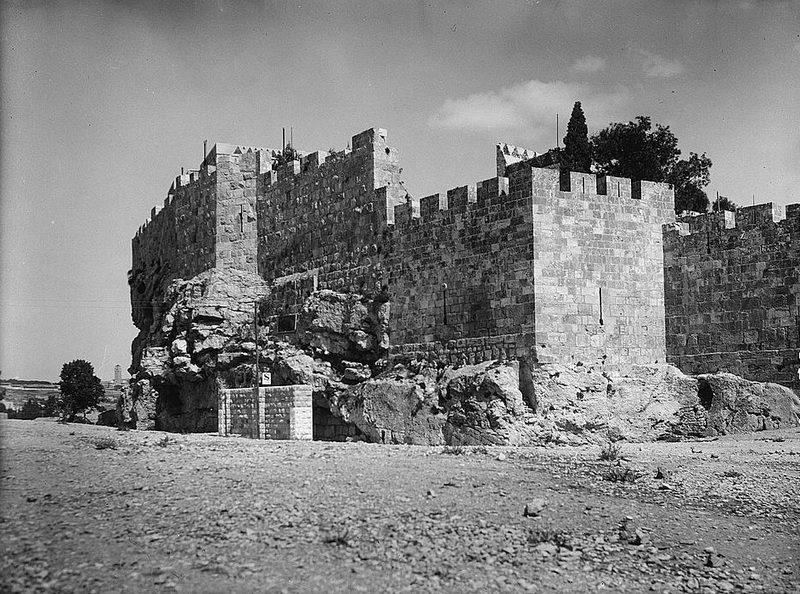 ﻿﻿During the British Mandate Zedekiah's Cave was reopened and actually converted to a bomb shelter during World War II. 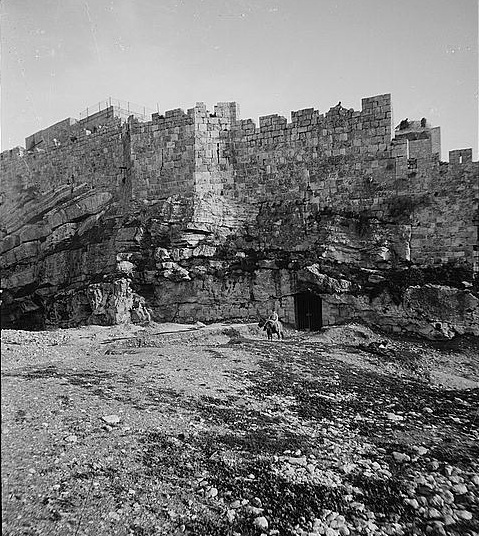 The cavern was closed again in 1948 by the Jordanian authorities because of its location along the Jordan-Israel armistice line. 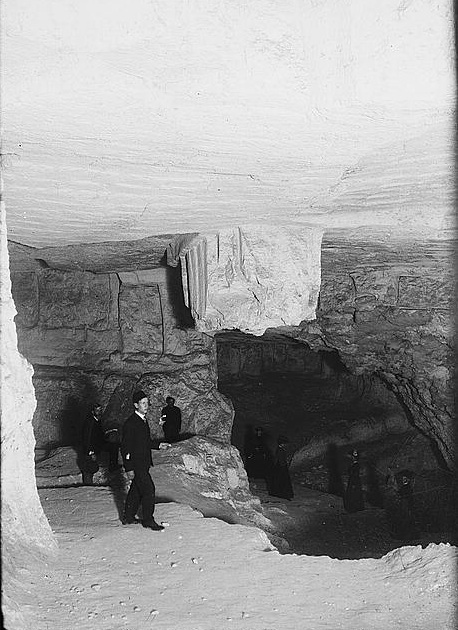 In 1967, after the reunification of Jerusalem, Israel reopened the cavern. Read this excellent description of the cave written by Thomas Friedman when he was serving as The New York Times' Jerusalem bureau chief in 1985.